How do you make a fruity New England style IPA even more fruity? Add fruit, of course. At least, that's where a couple of years of experimentation led Aether's Dave and Jimmy. 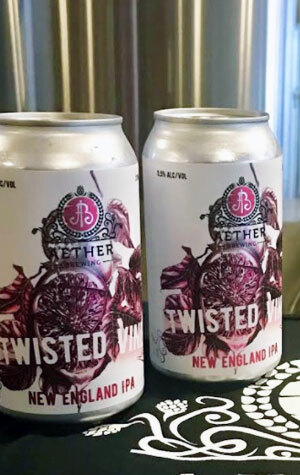 Twisted Vine has had both fresh passionfruit and blood orange added to its hazy mix and is also the first Aether beer chosen to appear inside a can. They reckon it's a beer that "embodies the fresh, bright boldness of a Queensland spring bursting with life" and is one that received an "overwhelming" when debuted at a craft beer festival. The version you'll find inside the cans was bittered with Admiral hops before receiving a triple dry hop featuring Citra, Galaxy and Mosaic plus the aforementioned fruit additions. The result of all this, they tell us, is "an extremely juicy, rich and decadent beer which bursts with flavour and mouthwatering acidity", one that's "screaming for the warm weather we are finally getting to enjoy" too.